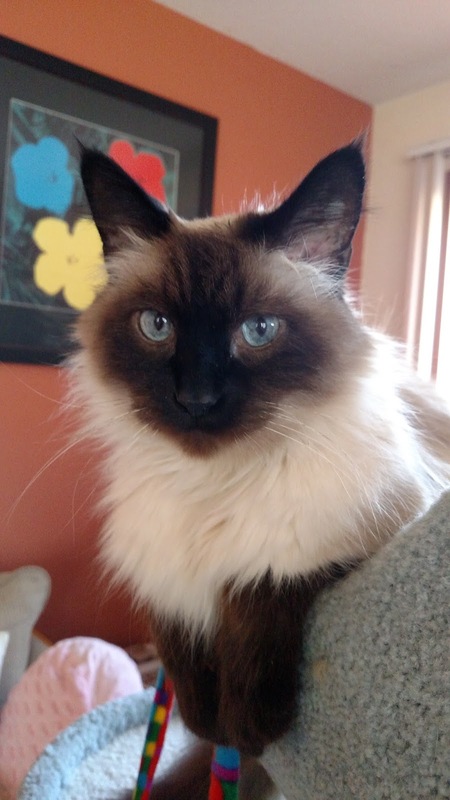 "Benny IS a beautiful boy! Not just on the outside, but also on the inside with a gentle and giving soul. I first met him at the St. Paul Animal Humane Society. His human mom had passed away and her husband didn't understand why Benny was so loud and cried so much, so he gave Benny up. He was sleeping when I first saw him and I stroked his chin. In his sleep, he reached out his paw, touched my hand and melted my heart. I may have saved him (that day), but really, he SAVED me…Truly! His diet consisted of only dried kibble at the Humane Society. I slowly weaned him to wet food (chicken) after bringing him home, but after a few weeks he began to throw everything up, even chicken broth... it was scary! However, after eight months, I am so excited to say that with your helpful diet suggestions and the Ask Ariel products, Benny is in fine health. I am a very very grateful furr-mom! 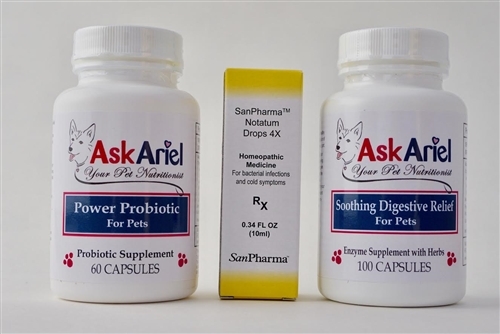 The two mainstays of Benny's supplemental regime are the Power Probiotics for Pets and the Soothing Digestive Relief for Pets. The Notatum drops were very helpful recently too, when his poopies became diarrhea-like. I can't tell you how much less anxious I am knowing that I have the means to help him when he needs it. For a 14+ year old, he's living a very good life and I couldn't do it without you all at Ask Ariel!